This was a challenging renovation project involving multiple doctors’ offices. 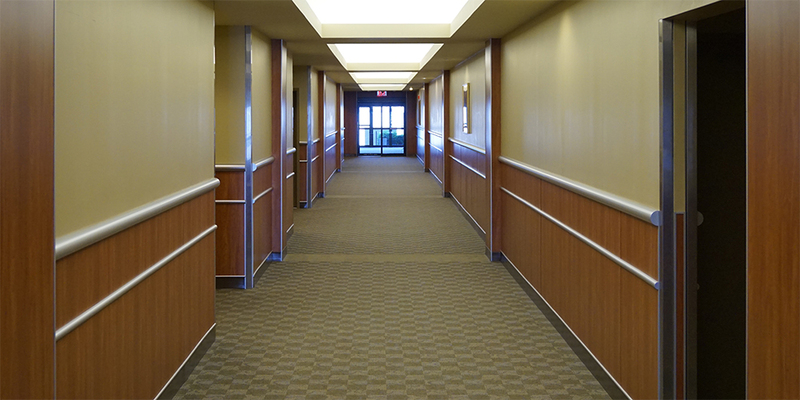 The high-traffic location was transformed into a state-of-the-art facility once existing finishes were completely removed from this dated public corridor. Decorative painted ceilings, doors, frames, wainscot wall protection and paint above were all completely updated.